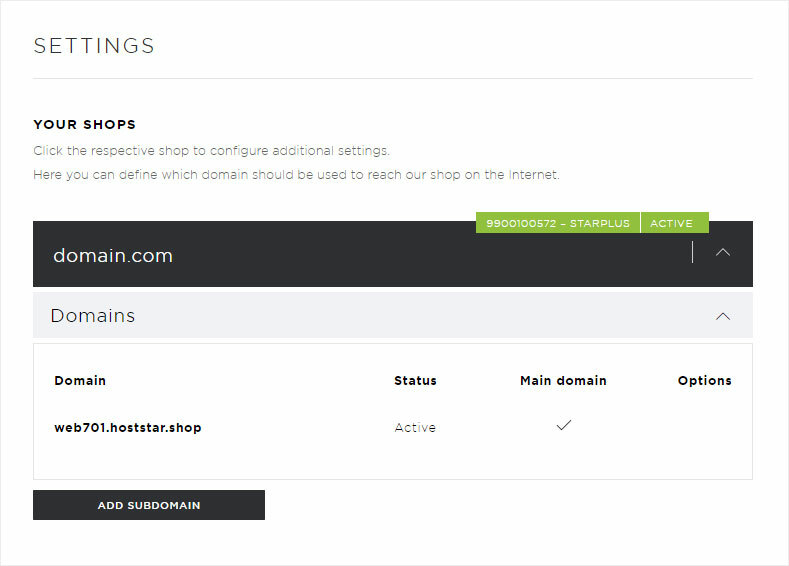 By entering a subdomain during the installation and the resulting adjustment of the DNS entries, your shop will usually go live within 24 hours. If you would like to keep the shop «hidden» during construction, you can do this according to the instructions «Hide shop». You can reactivate the shop to a subdomain (e.g. shop.domain.com) at any time. Proceed according to the instructions for «Switching the shop live». 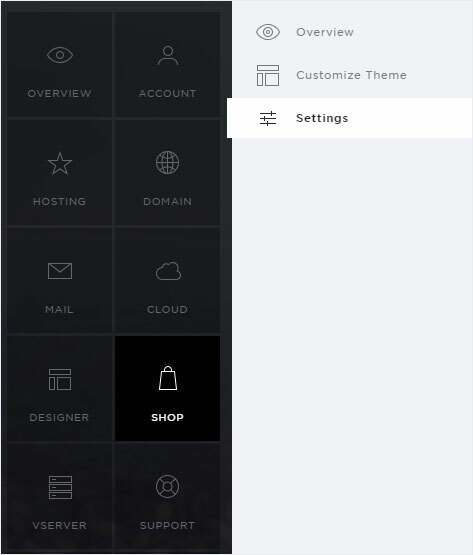 Click on the menu item «Shop» and then on «Settings». To access the detailed view of your shop, click on the «arrow symbol» at the corresponding shop on this overview page.. 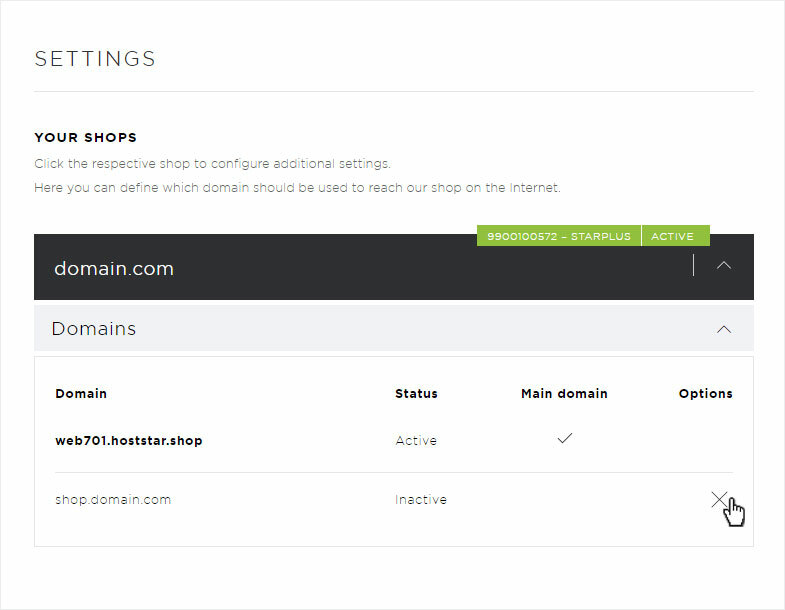 In the detail view that is now displayed, the domains through which the shop can be reached are displayed. 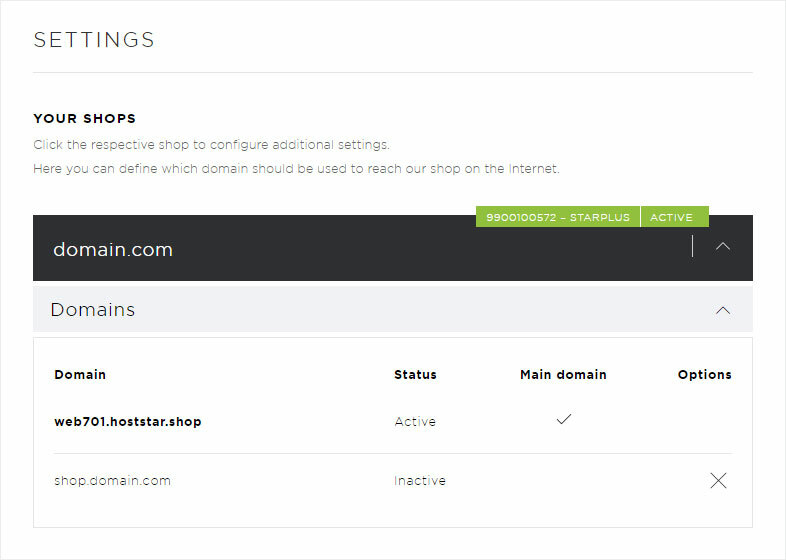 To «hide» your shop, you must delete the registered subdomain (here e.g. shop.domain.com). To do this, click on the «X symbol» (to remove/delete), under «Options» at the corresponding subdomain. If you are sure that you want to deactivate the subdomain, confirm this by clicking on «Remove». 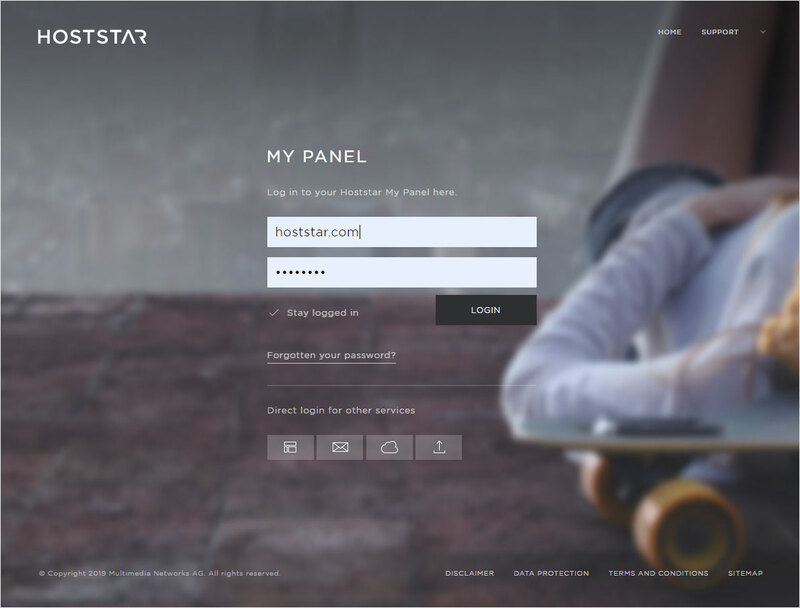 You will be directed to the «Overview» page, where the message «Domain installation in progress» will be displayed. After a short time you can refresh the page and the message changes to «Active». By clicking on the «arrow symbol» the detailed view opens and the subdomain no longer appears. If you would like to «go live with the Shop», please follow the instructions. To access the detailed view of your shop, click on the «arrow symbol» at the corresponding shop on this overview page. In the now displayed detailed view the button «Add subdomain» appears, on which you click now. A pop-up window opens. Enter the desired subdomain and click on «Save». After a short time you can refresh the page and the message changes to «Active». By clicking on the «arrow symbol» the detailed view opens and the desired subdomain appears with the message «Inactive». Please note that the DNS entries must also be adapted here. This takes about 24 hours before your shop is accessible via the desired subdomain (here shop.domain.com).